The Guildhall Public Library. Up in the cupola, there's a small white box, which has opened us up to the world a bit more! This week, for the first time ever, true broadband came to Guildhall village and other Essex County river towns. When we moved here in 2004, dial up was the only option, with a few scattered homes in So Guildhall having access to DSL. Ironically, our house looks across the Connecticut River to Groveton, New Hampshire. In the homes we can see from our porch, the residents had access to cable–the gold standard of internet speed, but we were stuck without it. And so we still looked longingly across the river, at those homes less than half a mile away with cable. Northern Community Investment Corporation’s new initiative, Wireless LINC, has now placed radio signal boxes at strategic locations, which establishes a regional wireless network drawing from the server at Lyndon State College and other locations. Learn more about the new initiative here. Last week, one of the boxes was placed high up in the cupola at the Guildhall Public Library, right next door to our home. So as of yesterday, we now have super-fast internet speed! We can stream video as needed, the weather will not affect service, and there are no download/upload limits. (Plus, the cost is cheaper) Wow! For years, our rural and generally underserved corner of Vermont has gone without the telecommunications services available in much of the rest of Vermont (and the country). In terms of economic development, quality of life, and property values, this is a huge step forward for Guildhall, Essex County, and the North Country in general! 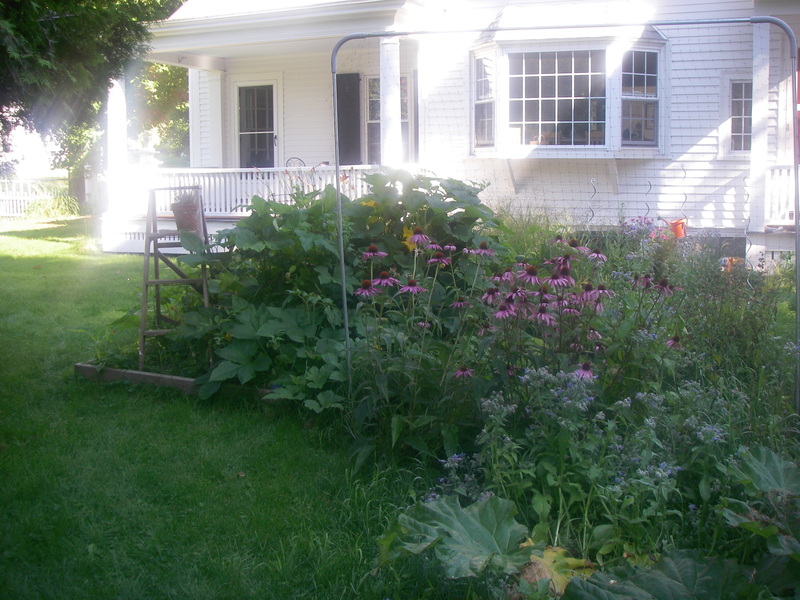 We are selling our beloved house, located in Essex County, Vermont. The Benton Cottage is part of the Guildhall Village Historic District, listed on the National Register of Historic Places, by the U.S. Department of the Interior. Built in 1915 as a second home for locally born philanthropist Everett Benton (he also donated the combined library and Masonic lodge next door), the house occupies the site of a former 19th century resort hotel, the Essex House. 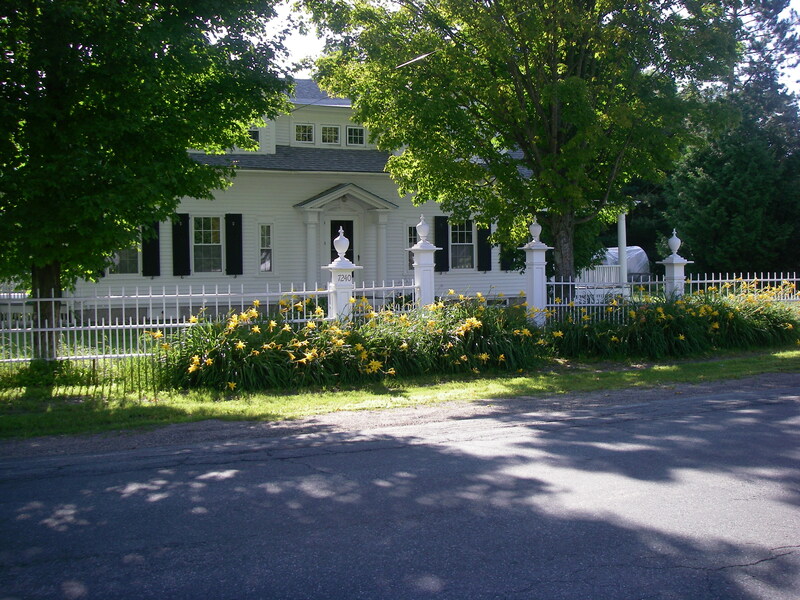 The Benton Cottage was designed by the Boston architectural firm of Gay & Proctor and sits on a terrace overlooking the Connecticut River and northern White Mountains. The house is a nine room Colonial Revival style building, including 4 bedrooms and one and a half baths. It features a stone foundation, clapboard siding, and an asphalt shingle roof. The house exhibits narrow box cornices, close rakes, two gabled-roofed dormer windows with connecting shed-roofed dormer, 4/4 sash, a central entrance with a shallow gabled-roofed porch, and end wall porches with Tuscan columns. The front of the house faces the picture-perfect historic village of Guildhall, VT, while the back of the house looks across the Connecticut River and features a wrap around porch and spectacular mountain and river views through a north easterly located 10 x 41/2 foot window, original to the house ( now with double glazed glass). 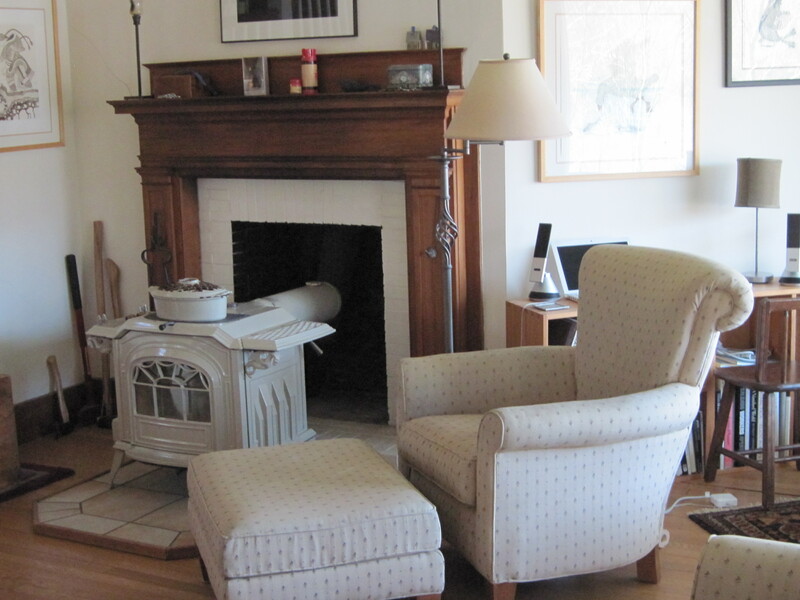 The interior of the house features a working wood stove, and two recently re-lined working brick fireplaces. The 14 x 11 foot foyer and the unique “Flying Dutch” staircase reflect the modernist urges and sensibilities of many progressive early 20th century designers and architects. The house has a light and airy feel with impressive views from almost every window. 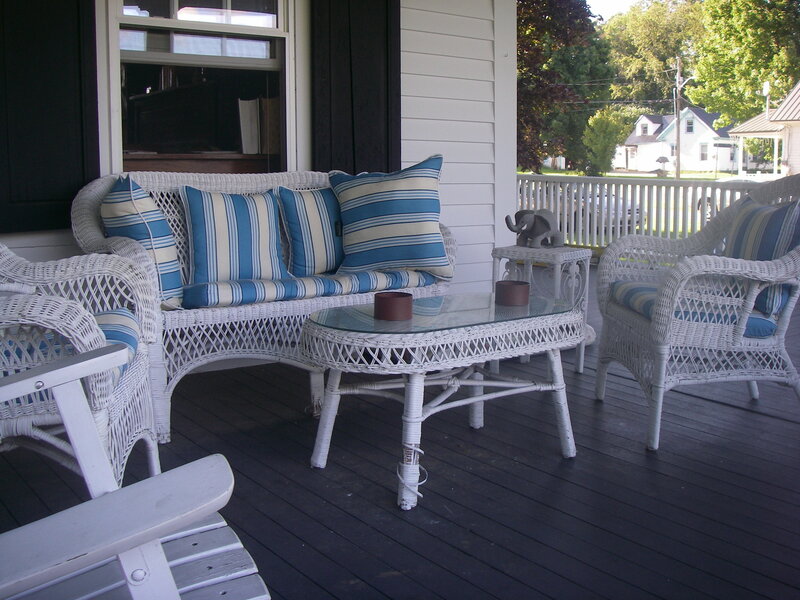 Visit this link to the Benton Cottage photo album on Picasa. Guildhall is about 45 minutes from the Canadian border. It’s bordered to the east by Groveton and Lancaster, NH. Our house is about half an hour from Maidstone Lake and campground and about a half hour from the White Mountains. 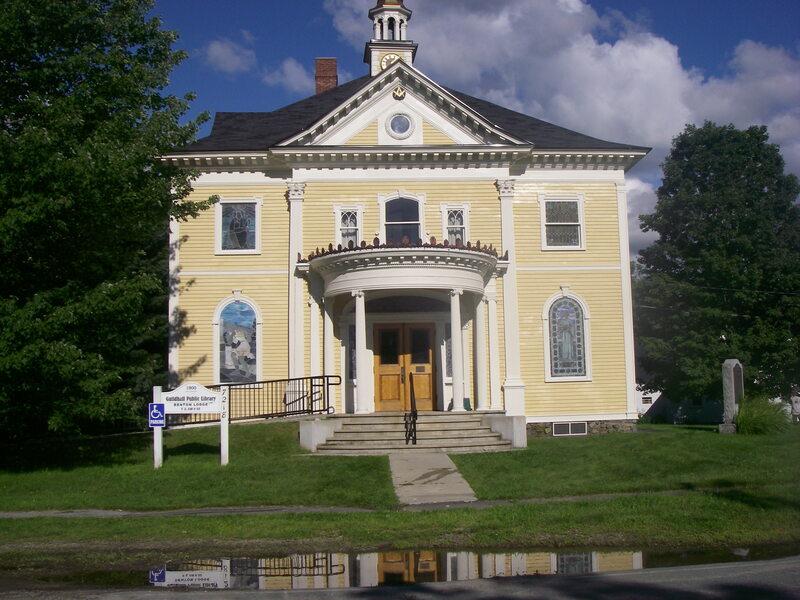 The town has a small but excellent K-6 school and the Town of Guildhall now has its own municipal website–take a look! Finally, after many years, the village of Guildhall has access to true broadband, at affordable rates!